$0.99 (regularly $9.99) 3/10/2016 - 3/11/2016! In The 6-Figure Speaker, Brian Tracy reveals why public speaking is the most powerful (but often ignored) way to build your business. By creating raving fans, deeply connecting with your audience, and putting forth your burning message you can quickly establish yourself as the “go-to” authority in your industry. After giving over 5,000 talks in 70 countries Brian has become one of highest paid and most sought after public speakers in the world. And in this new book he reveals everything he’s learned over his 30 year career. A must read for anyone who wants to create a successful speaking career. Inside the 6-Figure Speaker, you’ll get all the tips, tricks, strategies and secrets Brian has used to build a speaking empire. With the lessons in this book you’ll be able to build your own business as a 6-Figure Speaker. The 4 point bullet plan for a 20 minute speech and how to easily expand it for 40, 60 and even 90 minute speeches. How to craft an electrifying title to your speech that has people saying “I’ve got to hear that” even if they’ve never heard of you! A step-by-step action plan to take everything you’ve learned and start building your business as a 6-figure speaker today. 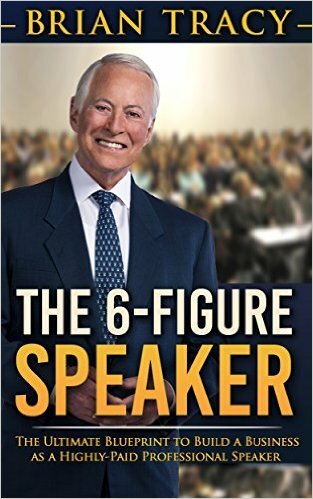 Readers should consider The 6-Figure Speaker their action guide to a successful and lucrative career as a speaker. It will become YOUR PLAY BOOK for finding and securing high quality speaking engagements, charging higher fees so you can easily scale your business, and crafting unforgettable speeches that have your audience talking about you long after you’ve left the stage. It doesn’t matter if you’re just starting out, or if you’re someone with experience as a speaker. The 6 Figure Speaker has everything you need to get started, scale up and shortcut your journey to success as a speaker.